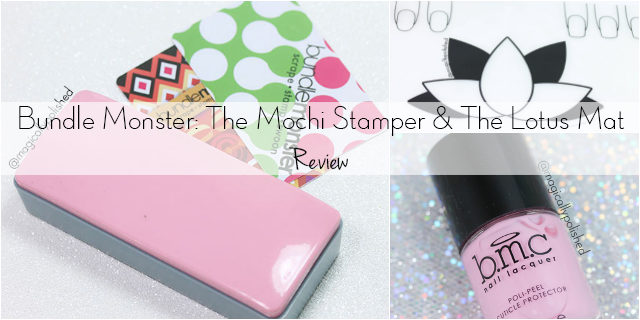 The Mochi Stamper is absolutely huge! It measures: 4.5 in. x 1.9 in. x 1.1 in (LxWxH). 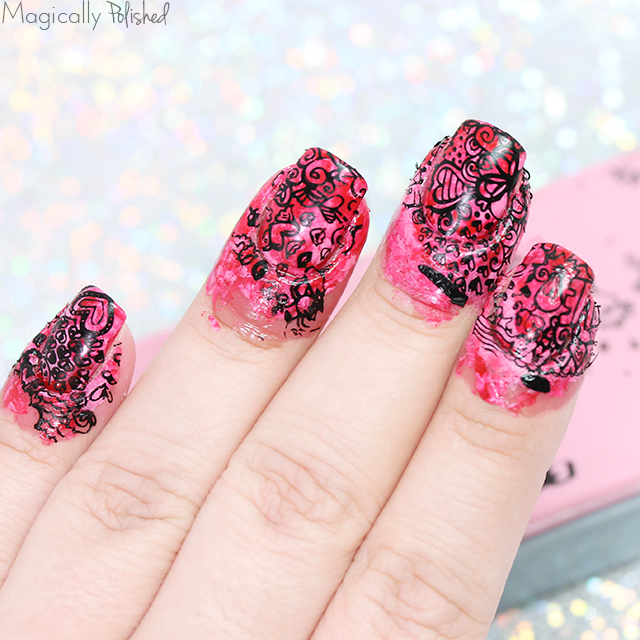 This stamper is perfect for picking up large images and stamping five nails at a time or more. 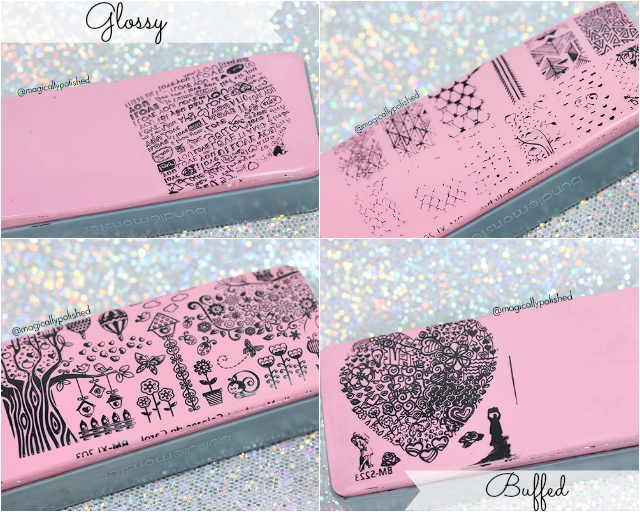 I would definitely recommend this stamper for experienced stampers as it takes a little practice, but a stamp-saver This stamper is also great for creating stamping decals! It even comes with two stamp scrapers. To begin with, priming the surface will make it easier to have better results. 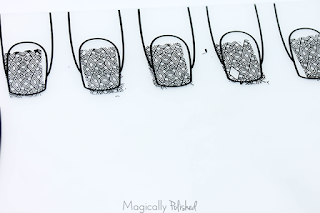 The photo above shows a few designs I stamped with a glossy surface. As you can see the results were not the best or clear. Buffing with a sponge eraser, the prime surface: the stamping designs are a lot smoother and clear. 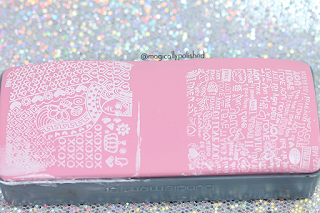 *Warning: I wouldn't clean the outer stamper with pure acetone since it is made out of plastic, I would recommend to use non-acetone to wipe away any residue. 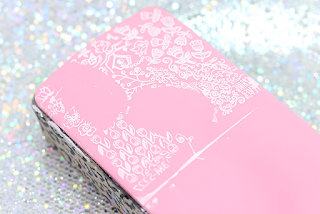 Using the Mochi Stamper I decided to create a bright and springful look. 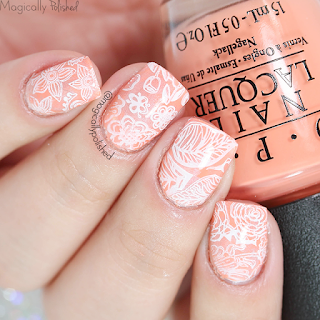 Once the base was completely dried, I used their new spring themed stamping plate using white stamping polish. I then pressed it using Mochi Stamper and added each nail, then sealed with top coat. Overall Irefully love how these turned out! Okay so I know some of you guys probably have The Lotus Mat look-alike from other brands, however, this is actually my first and I can't wait to use it. It's described as the ultimate nail art workstation and I could't agree more. 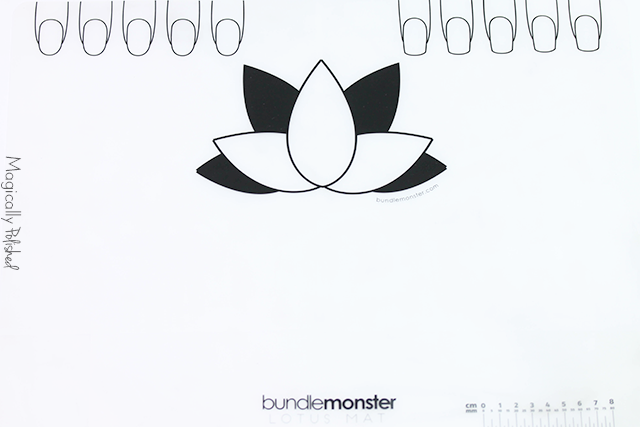 Using the mat above are the fingernails in two different shapes. These are just prefect for decals, sampling nail art design or nail polishes. In the middle is the Lotus itself: which can be use for sampling or mixing colors and of course testing out stamp designs or decals. 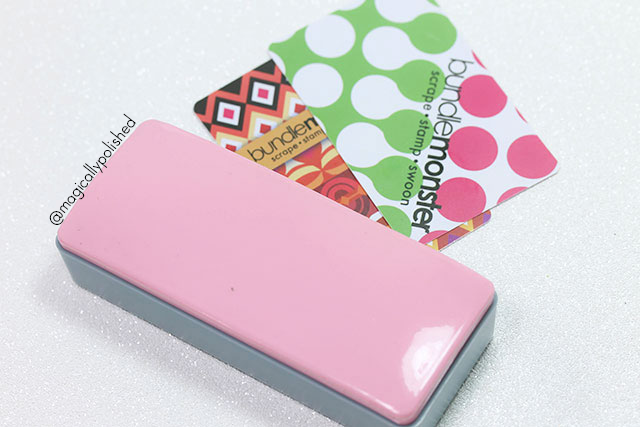 You can even use the ruler to measure out stickers, tapes and more. To clean simply wipe with acetone or polish remover with a lint free paper towel or cotton pad. 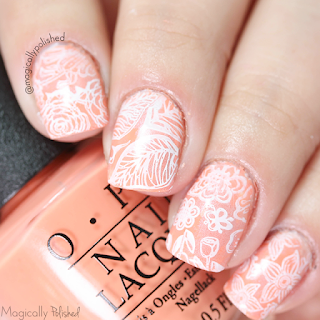 For this look, I created some decals using The Lotus Mat fingernsils. I added a few extra design incase one doesn' t work out. 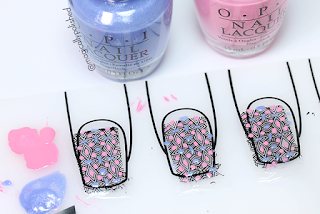 Using Bundle Monster x Magically Polished stamping plate, I stamped my preferred design on thr mat and filled in the spaces with OPI polishes. Once thr base wasdried, I then applied the decals on the nails and sealed with top coat. The poli-peel cuticle protecter is a liquid latex that can be applied around the cuticles for those messy nail art, great asset for beginners and nail artists. Making clean-up much easier and faster. It even dries a pretty pink with pink shimmers around thr polish. *Warning: If you have latex allergy, I wouldn't recommend this product tou you.